Is your warehouse operating as efficiently as it could be? This is certainly one of the most important questions for business owners, plant managers, and their supervisors. And if you’re in charge of a warehouse, chances are you’ve asked that question more than once. 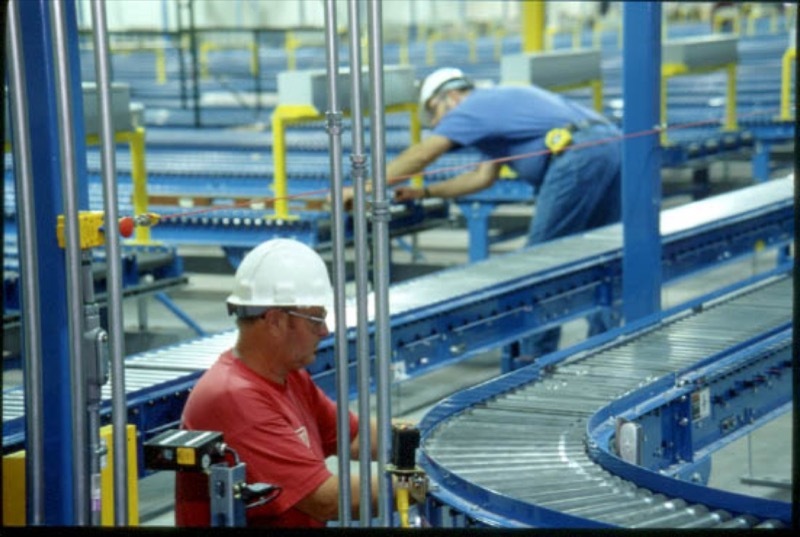 An efficient warehouse facility should operate like a well-oiled machine. All the individual parts should operate at peak efficiency — meaning the entire operation itself runs that way, as well. Besides having the proper equipment and machinery — the right conveyor system and operational software, for instance — what else do you need? Truth is, even with the best equipment and the latest digital technology at your disposal, the backbone of warehouse efficiency is still good old-fashioned organization. Remember: The principles of good warehouse efficiency remain the same, no matter the size of the operation. With that in mind, here are a few tried-and-true, tested-and-retested ways to make sure your operations run at true peak productivity. A maintenance plan is key to preventing downtime. It is essential to maintain a schedule for routine care and tune-up of equipment. Employ checklists to ensure daily, weekly and monthly maintenance tasks are completed, and stick to that maintenance schedule. Even one missed task can lead to tremendous and expensive problems down the line. Change is inevitable. Even the most efficient design may need to be adjusted as your business evolves and grows. As part of regular upkeep, it’s essential to assess — and reassess — the effectiveness of warehouse layout and inventory management systems. Do you use cycle counts? Counting a specific subset of your products quarterly increases the accuracy of your inventory. A cycle count is less disruptive than a full physical inventory, which can stall or interrupt warehouse operations. Supers and business owners should focus cycle counts on those items with higher values or sales. When warehouse operations managers utilize cycle counts, inventory stays organized between full inventory counts. It’s vital to safeguard warehouse facilities by prohibiting unauthorized people inside and near the inventory. This protects both the property and warehouse employees. Post signs in areas where only warehouse personnel are allowed and install physical barriers (safety upgrades) in key areas. Consider badges or uniforms so that authorized warehouse employees can be more easily identified. Inventory is the lifeblood of a warehouse. Make sure to safeguard it! Receiving can be one of the most hectic areas of a warehouse since it’s usually brimming with activity and filled with employees from various departments of the warehouse, plus shippers and delivery people. It’s important to devote adequate space to the receiving area of your warehouse operations. Cramped and cluttered conditions lead to errors and injuries. And — as many a business owner knows — errors in receiving tend to escalate, growing bigger and more complex as the problems migrate downstream. Once the warehouse is organized, make it easy to navigate by clearly labeling everything from products to rows of shelving to entire sections of the warehouse. Create a floor plan or map, and make sure that every employee is familiar with the layout. Clear signage and an emphasis on organization can turn an otherwise unnavigable maze into a well-maintained and much more orderly and efficient system. Designate a specific time each day for employees to focus on getting the warehouse back in order. Ending a warehouse shift with a thorough cleaning means the next shift won’t have to waste time and energy working through a confusing pile of loose ends. Storee Construction can help you maintain or upgrade warehouse efficiency. Whether you need a new conveyor, a safety assessment or an entirely new facility, you can rely on our expertise to lead you in the right direction. Storee has called Springfield, Missouri, home since 1966. Our wide range of services includes all aspects of new construction, renovation and modifications — and much more. Contact Storee or schedule a site visit today!